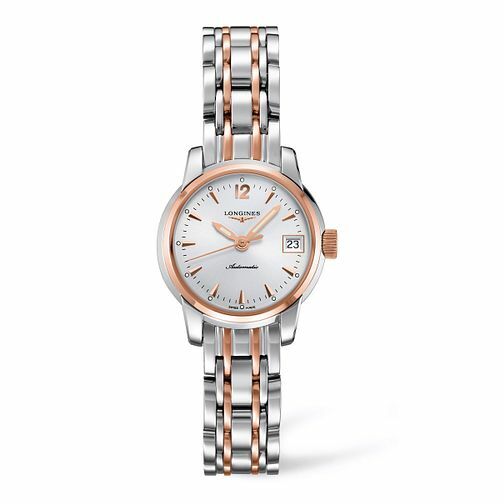 A luxurious ladies' timepiece from Longines. Powered by automatic movement, the watch boasts an elegant two colour stainless steel bracelet set with a sleek mother of pearl dial. A classic ladies' watch with a touch of contemporary elegance. Longines Saint Imier Ladies' Two Colour Bracelet Watch is rated 5.0 out of 5 by 1.